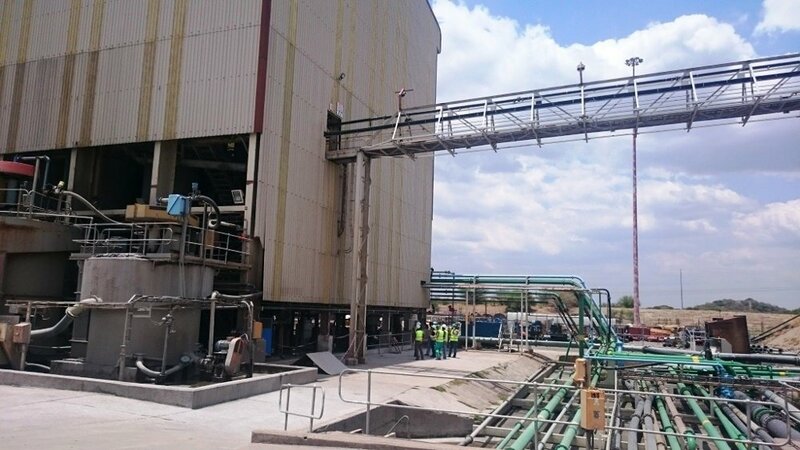 PrepQuip was awarded the contract to conduct the turn-key project of installing 1 off 1,8 m Ø, 1 off 2,2 m Ø and 1 off 3,2 m Ø flotation columns on a combined Merensky and UG2 PGM processing plant. PrepQuip also conducted an entire material balance over the entire circuit which predicted the performance of the flotation column circuit and the effect on the overall project fairly accurately. 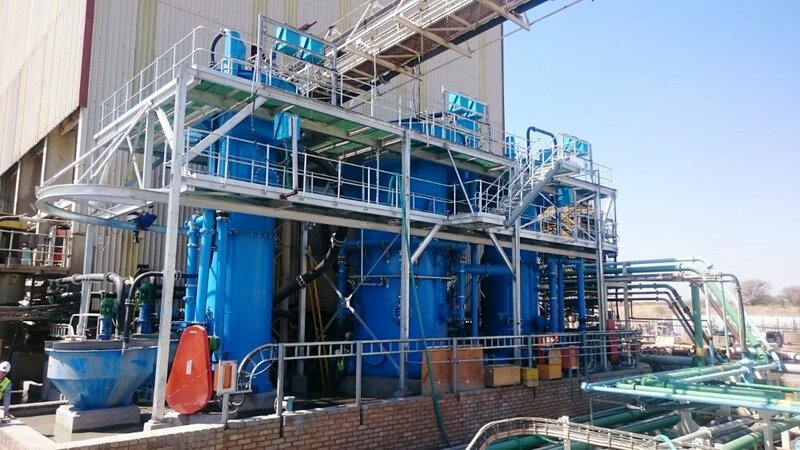 Merensky and UG2 circuit integrated turnkey Column Flotation Project. The location is at a PGM Concentrator at the upper end of the Western Limb Bushveld Complex. The design input and placement of the units was a collaborative effort with the Operations Metallurgical Team with the premise to treat a combined Merensky/UG2 stream through a Merensky float circuit to effectively reduce Chrome percentage and increase overall plant recoveries on Final PGM Concentrate produced.